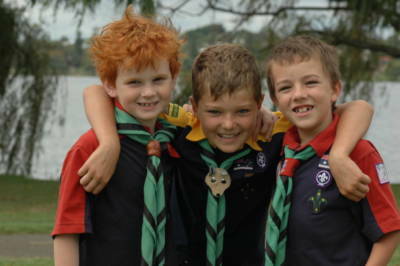 Scouts WA has several campsites around Western Australia that can be accessed by Scout groups. Please note: The inclusion of a campsite or Activity Centre on this list does not necessarily mean that it is available for general use, and in all cases further information should be obtained through the contact shown. Eaton Campsite is 160km from Perth, a two-hour drive on either South West Highway or Forrest Highway. The camp is on the banks of the beautiful Collie River at Eaton, just 8km from the City of Bunbury and 5 minutes from the shops or beach. The site caters for mixed accommodation of up to 70 people, plus Leaders. Bunkhouse accommodation and camping facilities are available. The camp has access to large areas of Riverside Park including walking and cycling paths. The adjacent Collie River is ideal for canoeing, sailing, rowing, fishing, crabbing and other water activities. The campsite has the added attraction of wildlife. Water birds, kookaburras, magpies and possums are regular visitors. Eaton Campsite has the space, facilities, activities and location to ensure a successful camp. The Eaton Campsite bunkhouses have 64 beds in four dormitories. There is a well-equipped dining room and kitchen, an outdoor undercover activity area and a hall and reception area. There are ample shower and toilet facilities. The campsite’s outdoor areas include tent camping sites, an outdoor chapel and a campfire circle. Eaton Campsite’s convenient location just 8km from the port city of Bunbury allows access to a wide range of activities. See and learn about dolphins at the renowned Dolphin Discovery Centre, go surfing, canoeing, sailing, roller skating, bowling, play indoor beach volleyball, check out the busy port, visit the Big Swamp interpretive centre or visit the nearby forests. Go a little further to see orchards, vineyards and timber towns. Any group hiring Eaton Campsite has full use of the site’s equipment, including canoes, bikes, push buggies, table tennis and bush golf. For booking enquiries, phone (08) 9844 3306, email gilcreek@scoutswa.com.au or use the Gilcreek Scout Camp online booking form here. Gumbooya is an Aboriginal word meaning ‘campsite by the sea’. Gumbooya is located within the bush surrounds of Ern Halliday Recreation camp at Hillarys, just metres from the beach. The site is suitable for between 20 and 30 people to camp in tents, and features a campfire area, shared ablutions block and a large shed with electricity and water for indoor activities. Kambalda is a bush campsite near Kalgoorlie in the Goldfields region of WA. The site is suitable for tent camping and is home to a range of local plants and wildlife. There are no ablution facilities on site and access to drinking water is very limited, so visitors will need to bring what they need with them to Kambalda. Whether you’re after adventurous activities or a relaxing weekend, Manjedal caters for all tastes. Set on 184 hectares of jarrah forest midway between Byford and Jarrahdale, Manjedal is a short 40 minute drive from Perth. It offers accommodation and activities for Scout groups and their families as well as schools, youth organisations, church groups and cadet units. The jarrah forest’s flora and fauna make for excellent geography and biology camps. Fun and challenging team building programmes can be created for groups. Northam Scout Campsite is 97km east of Perth and 4.5km west of Northam. The campsite’s southern boundary is the north side of the Kep Track, which follows the Goldfields Pipeline in the area and is used for hiking, walking, cycling, and horse riding. The campsite features a large (not lockable) ex-military shed, suitable for camping in if necessary, along with a bush chapel. There are no toilets on site and access to drinking water is extremely limited, so visitors will need to bring what they need with them to Northam. 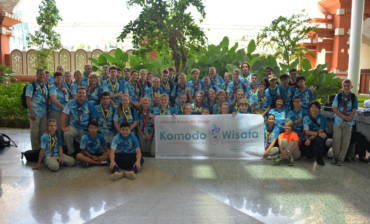 Use of the campsite costs $2.00 per person per night for Scout groups, with payment by cheque payable to Scouts WA. Contributions will be banked to contribute to the operating and development costs of the site. 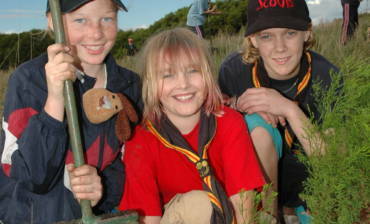 With the decline in Scouting in Northam and the Avon District in the past, Scouts WA made little use of the Northam site for many years and some people viewed the site as abandoned. The site is close to the Northam Yongah Hill immigration detention centre and has been used by protestors as a camp site. Homeless people have also been known to use it. It is recommended to contact Northam Police ((08) 9622 4240) before the commencement of a camp, to advise of the camp details and exact location on the site. Discretion should be exercised with uninvited visitors, especially people just walking through the site. By law, these people have no right of entry to the site – if a confrontation arises, Police should be contacted. A gate key is available from Neil Macpherson. Keys will be posted to you, and should be returned by return post with payment for the site use within 5 days. There is a Scout Group in Northam and they may visit during a camp. Staves may be cut for personal use, but should be cut below ground level to ensure cleared areas can be used for camping. Local fire restrictions must be observed at all times – details are available on the Shire of Northam website or by calling the Council’s municipal offices. Fires must be kept adequate for cooking when allowed and have a suitable clearing (fire break) of at least 3 metres on all sides. 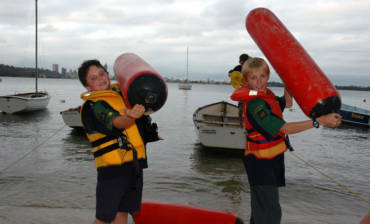 The Scout Water Activity Centre (SWAC) was established at the former Como Sea Scout Hall in 2000, as a support facility for Scouts WA Groups, Sections and Leaders, to enhance the Scout program and to contribute to the development of Scouting youth. The centre is a branch entity managed by a team of volunteers, approved by the Chief Commissioner. Located on the river near the Canning Bridge, on the western side of the freeway, the centre is within walking distance of bus terminals and adjacent to freeway bike paths. The centre enjoys regular visits from dolphins and other wildlife, and offers great bird watching in a very special environment. SWAC facilities include a kitchen with commercial stove, a barbecue, areas for tents, hot water showers, tables, benches, fridges, inside hall sleeping available, hammocks and some single bunks/beds for Leaders. SWAC offers opportunities for Leaders to enhance regular programs and provides safe and exciting opportunities for youth members of all ages and experience levels, with access to a range of affordable equipment. The Vasse Campsite is at 236 Caves Road, 280km south west of Perth via Old Coast Rd and just 12km west of Busselton. Set on Geographe Bay, the campsite features shady tent sites with fire circles and tables, leader accommodation for two people and a separate kitchen and cool room. There are powered sites for 6 caravans, an outdoor undercover area, barbecues, and a beach at the rear of the site for great water activities. Vasse Campsite is conveniently located close to many outdoor activities. The Cape To Cape track and several other walk trails of different lengths commence at the nearby Cape Naturaliste Lighthouse, while abseiling at Willyabrup Cliffs and caving at Ngilgi Cave are within driving distance. For those who prefer water activities, the sea offers the opportunity for canoeing or swimming and surf beaches and safe snorkelling locations are within driving distance. 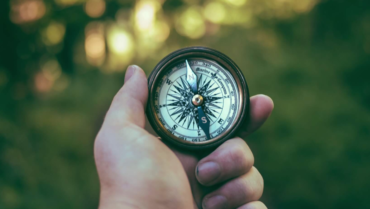 For those who prefer not to drive, nearby Siesta Park Reserve or Locke Nature Reserve, opposite the campsite, are suitable for navigation and environmental activities. For cycling, there is a bicycle path into Busselton and further east. For Vasse Campsite bookings contact John Hill on 0417 221 169. Waterous Campsite is nestled in a tranquil forest near the bottom of a valley. A ‘back to basics’ site, Waterous is an ideal location for Group or Section camping adventures. Located just over an hour south of Perth near Waroona, the campsite boasts plumbed toilets, an undercover area, tranquil tent sites, cold showers and two barbecues (gas bottles not provided). Whether groups are developing camping skills such as cooking and construction, or just enjoying a relaxing time away, Waterous is an ideal destination. Evenings can be spent marvelling at the forest creatures that abound in the area or sitting around the campfire singing songs and telling yarns. For the more adventurous, the campsite adjoins the Waterous Trail* (an offshoot of the Munda Biddi Trail), and there are opportunities to practice mountain bike riding, hiking and orienteering skills. If transport is not a problem then spend a day canoeing on the Mandurah Estuary or Murray and Serpentine Rivers with canoes available for hire from the Peel Boat Shed. There are 15 sites at Waterous suitable for patrol camping (two tents per site) and a main large camping site suitable for 8 to 10 tents. Firewood is not available on site and will need to be brought along. Fires are only permitted when no restrictions are in place. Waterous Campsite is a self-clean facility and all rubbish must be removed from site for disposal. * Waterous Trail maps are available for purchase from the Department of Environment and Conservation or the Munda Biddi Trail Foundation.